I absolutely adored this book! So check out my 5 Star Review below and enter in a fabulous giveaway! Enjoy! Sixteen-year-old Annarenee Stevens is the sole member of her family without a super power. The only time she feels powerful is in the pool. With her sights set on swimming for U.C. Berkeley, she’s ready to win it all at the State championship this year, securing her future. When the government ends the Genetically Enhanced Asset (GEA) program and relocates all the GEA families to San Diego, life is about to take an unexpected twist. With the end of the program, her hero brother now needs a college education too, meaning the only way Annarenee is getting into Berkeley is on a scholarship. 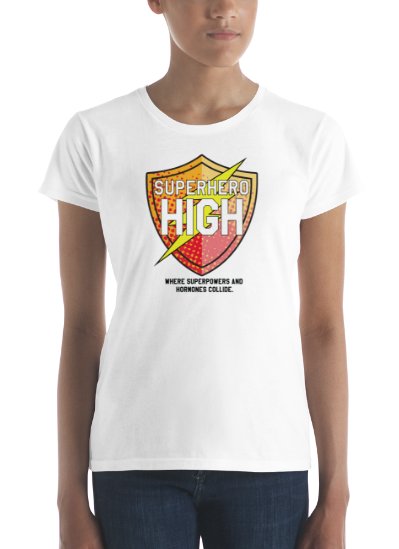 Queen of her public school, Annarenee is just another zero at Superhero High, a school without any sports teams. Her dream is slipping through her fingers, no matter how tightly she clings to it. To make matters worse, super-hot superhero, Ren Gonzalez, is paying too much attention to her. The kind of attention that has Ren’s ex-girlfriend intent on making Annarenee’s life even more miserable. But when heroes begin disappearing, zeros and heroes will be forced to team up in order to solve the mystery. All they need to do is not kill each other first. 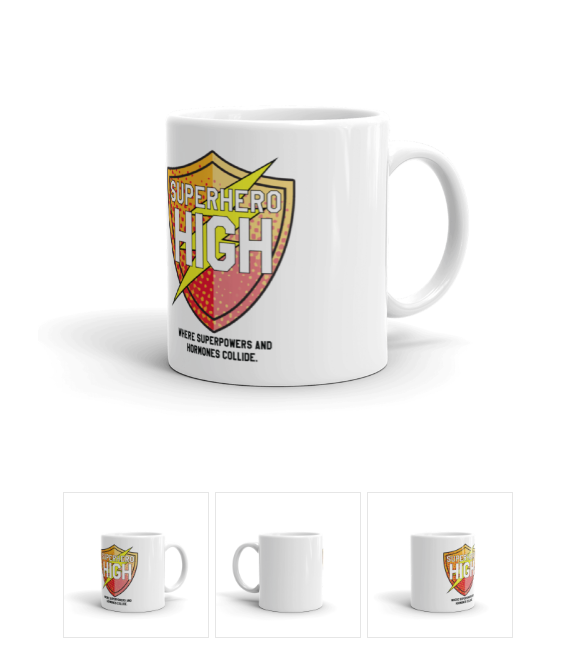 Superhero High was mesmerizing, beyond addicting and a ton of fun. I got completely wrapped up in the characters lives and lost in the pages. Bullying, first love, friendships, finding yourself and mystery was splashed across the pages. And that made this book emotional, sigh worthy, and I fell in love with so many of the characters. I closed that last page feeling happy and I’m excited for future books set in this world *fingers crossed*! I fall back onto my bed and close my eyes, letting the past few hours replay in my head, a tear slipping out and running down my cheek. This is the worst nightmare ever, and I’m never, ever waking up from it. Annarenee Stevens’ life may have seemed ordinary, but it was anything but that. She was the only one in her family without superpowers, but none of her friends or even boyfriend at her public high school truly knew about her family. With her sights set on a swimming scholarship to UC Berkeley, this was going to be her best year yet! But her whole life got turned upside down when the government quit funding the Genetically Enhanced Asset (GEA) program. All GEA families, hers included, were rounded up and sent to live in a community in San Diego. Leaving her whole life in Ohio behind, she found herself at a high school with no sports team and surrounded by Superheroes. And there were plenty who thought a zero like her, didn’t belong among them. I loved seeing the world through Annarenee’s eyes and connected with her right from the beginning. She was was not only smart, but she had no problem speaking her mind. With her dreams of college sailing out the window and going to a new school where some looked down and bullied her, my heart definitely hurt for her. But she stood up for herself and her zero friends, and I love that she didn’t let others push her around. She came across as brave and someone I would respect. His gaze lifts to mine, and the vulnerability in his eyes steals my breath. I’ve never seen this side of him. Not really. He’s been unsure, or nervous, but not this. Ren searches my face for something, and I’m pretty sure all he’s going to see is pure fear. Because if I kiss this boy, nothing between us will be the same. In San Diego, Annarenee caught the eye of a Superhero, Ren Gonzalez. Oh you guys, I loved Ren. He gave me butterflies and I loved learning all of the different sides to him. Ren made me laugh, he made me feel cautious and he made me fall head over heels in love with him. The words he chose and the way he treated others just added to the huge list of reasons why I fell so hard for him. So when Ren flirted with Annarenee he easily made my heart race. But his jealous superhero ex seemed to always be hanging in the background and I was personally scared of her powers. I’m in serious danger of falling hard for that boy, and I’m shocked it doesn’t scare me. In the midst of everyone trying to adjust to living in San Diego, some of the teen superheroes started disappearing. I was grasping at the tiniest clues, like Annarenee, trying to figure out what was going on. And while I felt as clueless as her, I loved how all of this was a trigger for something huge. The zeroes and heroes would have to put aside their differences and work as one if they wanted to find those that they loved. Awww I loved this story and how it played out! His mouth is on mine in seconds, as if he’d been holding his breath and he desperately needed to inhale. I absolutely adored Superhero High. At the base of this story was a romance, but it was also about finding yourself, navigating your teen years and so much more. This book ended in a wonderful spot with a HFN feel, yet there are so many ways this story can continue. And I for one can’t wait! T.H. 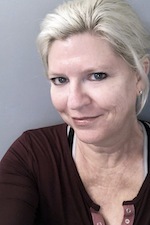 Hernandez is a published author of young adult novels. THE UNION, a futuristic dystopian adventure, was a finalist in the 2015 San Diego book awards in the Young Adult Fiction category. 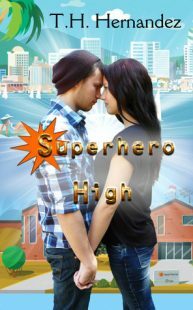 SUPERHERO HIGH, an urban scifi teenage romance, released July 5, 2018. She thrives on coffee of any kind, though pumpkin spice lattes are her favorite. Her free time is spent hiking, reading, painting, and binge-watching Game of Thrones and Stranger Things. She adores Star Wars, Comic-Con, Doctor Who, Bad Lip Reading videos, and all things young adult, especially the three who share her home. When she’s not visiting the imaginary worlds inside her head, you can find her in usually sunny San Diego, California with her husband, three teenagers, who are far too tall to be considered children, a bearded dragon, a couple of cats, and a dog who thinks he’s a cat, lovingly referred to as the puppycat. GIVEAWAY: RED RISING by PIERCE BROWN! Thanks so much for hosting SHH today and for such a great review! Glad you enjoyed! And with any luck, my publisher will pick up the next two books in the series (fingers crossed)!! This book will be fun to read. YES! It was so much fun. I hope you enjoy it Danielle! This sounds like the perfect summer read!